Palo Alto, California, USA. This project is a new fitness and athletic facility for Castilleja School, a grades 6-12 girls’ school. The new three-story facility is 70’ tall, with half of the building above and half below grade. 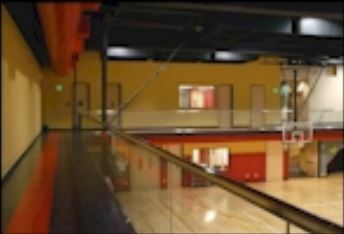 Outstanding features include two regulation-sized gymnasiums suitable for competition play for both basketball and volleyball, an interior 30’ high rock climbing wall, dance studio, separate lockers for Middle and Upper School students and faculty, as well as a classroom/exercise studio to support Castilleja’s Fitness and Wellness program.